George Munson came to Plattsburgh fresh out of Austin’s Beauty School in Albany after being recruited by Regis Salon in the first Champlain Center mall (now the Lowe’s/Price Chopper Plaza). The year was 1975. 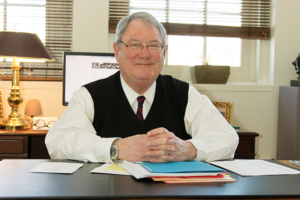 Munson’s plan was to stay in Plattsburgh for a year or two, get some experience and then move on. Now, 41 years later, he’s still here. Munson worked for Regis for four years, then moved to another salon. 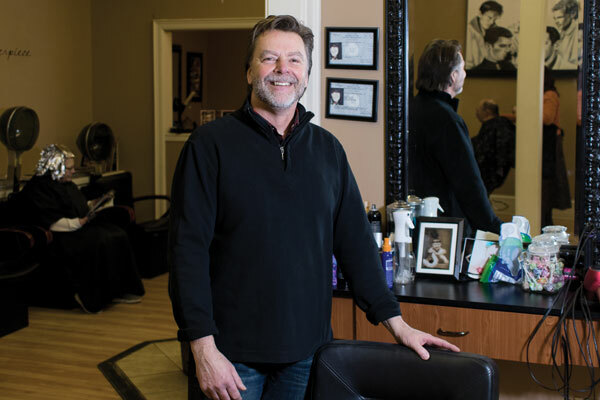 In 1987, he opened his own salon—Visual Changes on South Catherine Street in Plattsburgh. Over nearly 30 years, Visual Changes has become a second home for Munson and his dynamic staff.